Star Secure Programmer Expert – PHP is a detailed course covering all topics related to traditional and security concerns. It talks about varied topics like security design for web applications, securing user input through validation techniques, error management , SQL injection mitigation, securing remote execution and cross site of script, avoiding session hijacks, preventing rest services, implementation of captchas, etc. Candidate should having good knowledge of PHP Server side scripting. This course is help to avoiding bugs, problems and vulnerabilities. The SSPE.P certification is intended for programmers who are responsible for design and building secure program on Web Development with PHP. Securing Remote Execution of Script. Develop a secure web application to mitigate the threats associated with the application, server and a database. 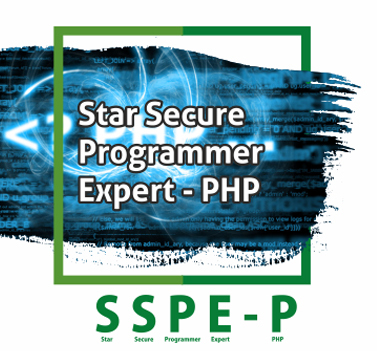 Introduction to Star Secure Programmer Expert- PHP. Securing the User Input by Adding Validation Techniques. Securing your server and database.